⬅ Can you achieve the perfect nose? Should Nurse Injectors Perform Cosmetic Procedures? I’m constantly asked by patents whether nurse injectors are truly qualified to perform cosmetic injections. For me, the most important factor for any nurse injector is their relationship with an appropriately trained, supervising doctor, and how closely the nurse and doctor work together. That doctor can either be a plastic surgeon, dermatologist, facial plastic surgeon, or ophthalmic plastic surgeon who has prescribed the injectable treatment appropriate for the patient. Remember–50 % of complications resulting from cosmetic injections are reported to result from unqualified providers, and that –33 % result from injections administered in a non-medical setting, such as a hair salon or private home. Nurse injectors are under the supervision of a qualified doctor who has prescribed the injectable treatment appropriate for you. Nurse injectors should demonstrate appropriate medical education and training specific to the delivery of cosmetic injections. Perform injections in a medical setting supervised by the prescribing doctor. Patients should not accept treatment from nurses or any other doctor in private homes, hair salons, hotels, bars or any other non-medical setting. Nurse injectors should follow all of the appropriate steps in performing cosmetic injections, and that all patients are given informed consent documents that clearly define the risks and benefits of the procedure. You have the option to request the doctor perform your injections. Nurse injectors should also have recent continuing medical education (CME) to be abreast of the latest injectable techniques, and should inject patients just like you on a regular basis (several patients weekly). Your doctor should also have recent continuing medical education (CME) to be abreast of the latest injectable techniques, and should inject patents just like you on a regular basis (several patients weekly). No matter what, regardless of who delivers the injection, if I as the doctor prescribe the treatment, inevitably the patient outcome is my responsibility. Therefore, it’s incumbent on me to have well trained and expert nurse injectors, someone that I can trust to inject my family members and friends. And that is exactly what I do. 1. What is your board certification? 2. How were you trained to do injectable treatments? 3. Do you regularly provide injectable treatments? 4. How many people have you treated with a condition similar to mine? 5. Will you personally inject me? If not, what are the qualifications of the person who will? 1. Exactly what brand of injectable do you recommend for me? 2. Is it FDA-approved (in Australia that should be TGA-approved) specifically for cosmetic purposes? 3. May I see the packaging to verify the brand name? 1. Are there any precautions I should take before my injectable treatment? 2. Will anaesthetic be necessary? Is it available? 3. What can I expect to experience after my treatment? 4. What are the potential risks of treatment? 5. How long will my results last? 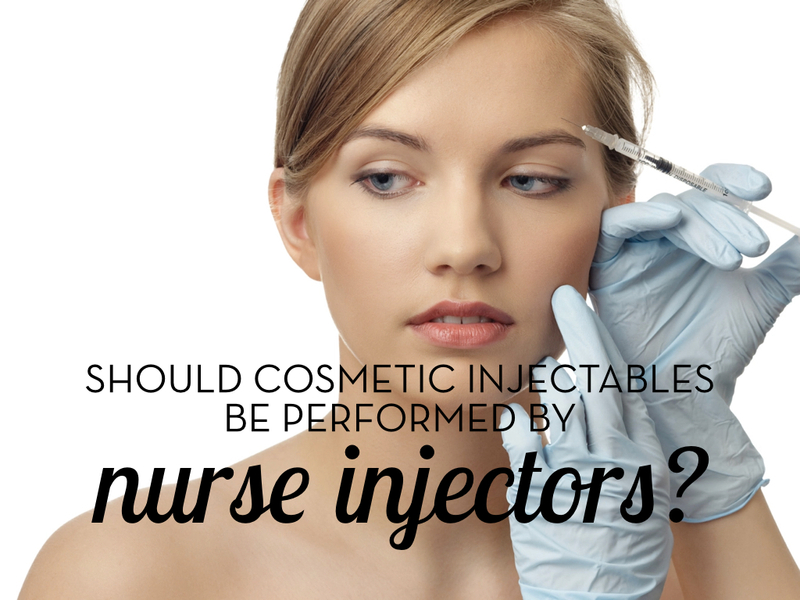 Question: Do you think that there is much of a difference between a doctor or a nurse performing cosmetic injectables? You can leave a comment below.